Contain 3 types of products in 1 box. Limited Edition Box Set, While Stock Last!!! Description: This complete universal cream covers the essential hydration needs of all skin types in a single product: it moisturizes, protects and softens. Its special composition, based on high quality plant extracts and organic vegetable oils, including sesame oil* and sweet almond oil*, gives the skin the correct balance. How to use: Apply morning and evening to clean and dry face and neck. Gently massage into skin with fingertips until completely absorbed. 98,83 % of the total ingredients are of natural origin. 12 % of the total ingredients come from organic farming. Ingredients: Aqua, Aloe Barbadensis Leaf Juice*, Propanediol, Glycerin, Sodium Benzoate, Potassium Sorbate, Chamomilla Recutita Flower Extract*, Centella Asiatica Extract*, Citric Acid. * Ingredients from organic farming. 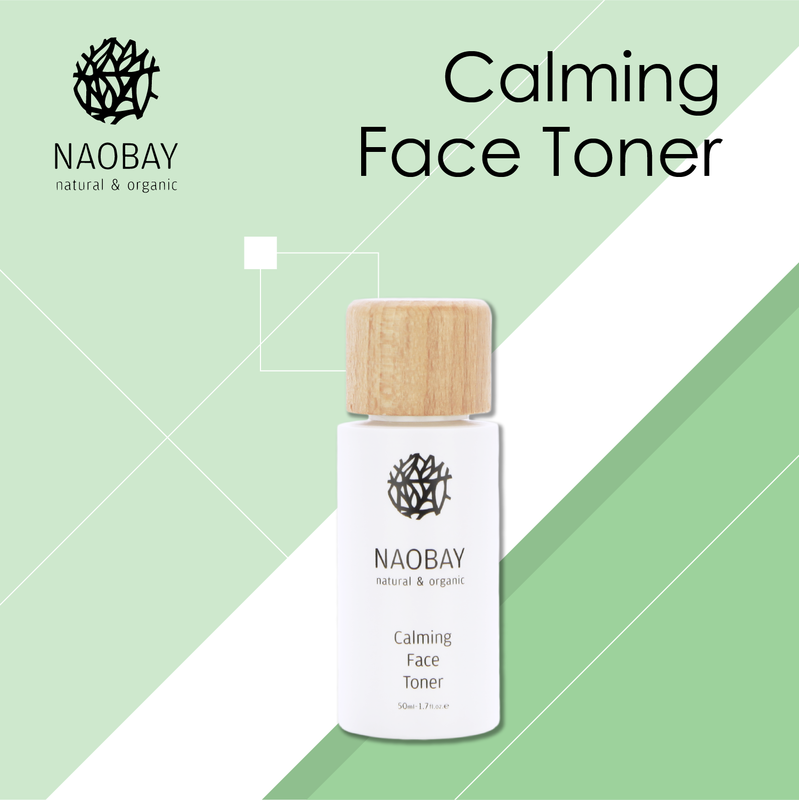 Description: Clarify and refresh your complexion with the NAOBAY (Natural And Organic Beauty And You) Calming Face Toner; a four-in-one toner that delivers multiple benefits to skin. Enriched with Chamomile and Gotu Kola, the gentle formula eliminates traces of make-up and impurities after cleansing, whilst toning, soothing and leaving skin clear, smooth and refined. Delicately fragrances skin with an uplifting citrus scent. Your complexion is hydrated, comfortable and ready for moisturising. 93.13% of the total ingredients are of natural origin. Products not tested on animals. Forest Stewardship Council (FSC) certified. How to use: Apply to the face using a cotton pad and repeat until clean. Avoid eye area. Use twice daily after cleansing. Ingredients: Aqua, Aloe Barbadensis Leaf Juice*, Coco-Caprylate Caprate, Caprylic/Capric Triglyceride, Olea Europaea Fruit Oil*, Propanediol, Potassium Olivoyl Hydrolyzed Oat Protein, Cetearyl Alcohol, Glyceryl Stearate, Prunus Amygdalus Dulcis Oil, Stearyl Alcohol, Glycerin, Centella Asiatica Extract, Glyceryl Oleate, Benzyl Alcohol, Potassium Sorbate, Sodium Benzoate, Dehydroacetic Acid, Xanthum Gum, Citral, D-Limonene, Geraniol, Linalool. * Ingredients from organic farming. 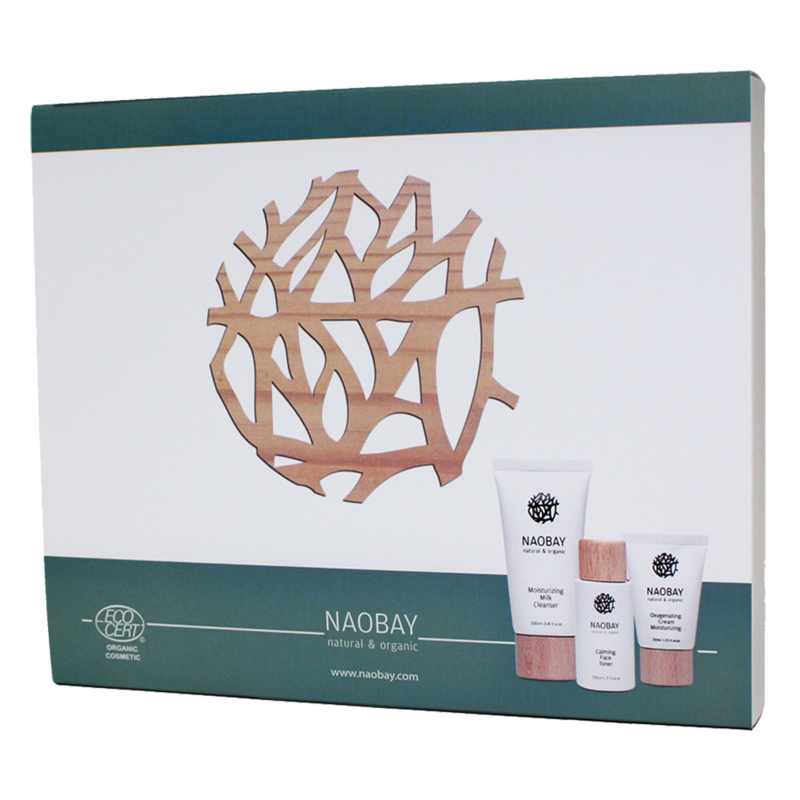 Description: Gently refresh your complexion with the Moisturising Milk Face Cleanser from NAOBAY(Natural And Organic Beauty And You). Catering specifically for dry and sensitive skin types, the luxurious formula eliminates daily impurities and make-up without stripping moisture. A nourishing blend of Olive Oil, Gotu Kola and Sweet Almond Oil protects the skin&apos;s hydrolipidic film from environmental aggressors, whilst restoring natural elasticity to reveal a touchably soft, supple complexion. Skin is clear, comfortable and hydrated. 98.87% of the total ingredients are of natural origin. How to use: Apply to a damp face and massage in using small circular motions. Rinse.